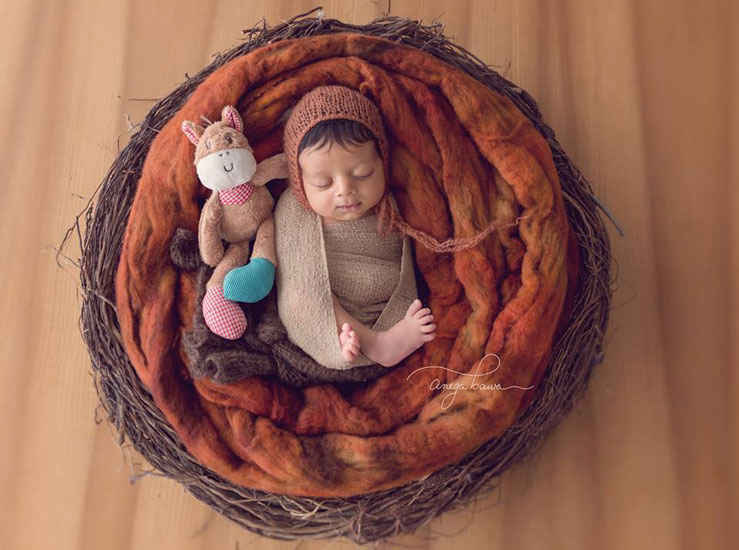 Recognised for her artistic portraits of babies, Anega Bawa has been a maternity and baby photographer for over a year now. An artist and a creator at heart, she is popular with all the mummies for her colourful, soft and whimsical portrait photography. Read on to know the inspiration behind her cute and heart touching pictures that can make anyone go aww! Photography has been a part of my life since the day I was given my first camera, a used Yashica Electro 350, back in 1995, almost 21 years ago. The professional bent came when I was pregnant in 2012-13. I did my own maternity shoot and later when I had a baby girl, I started photographing her. So my daughter has been my true inspiration. I took professional training and mentoring from USA and Australia. Finally, after experimenting with friends and family for over a year, I launched myself in early 2015. I took my first paid customer in April 2015. How do you go about designing such artistic sets? It all mostly starts with a conversation with the mom. Based on the type of session and child’s gender, I give them the colour choices and discuss set options that I am planning at that point. As I am a textile designer by education and experience, I treat a backdrop as a design surface. I source and create products that harmonise with the ideas, textures and colours that I have in my mind. For newborns & babies, it’s about using small baskets and packing them up nicely, making the set look beautiful from top. 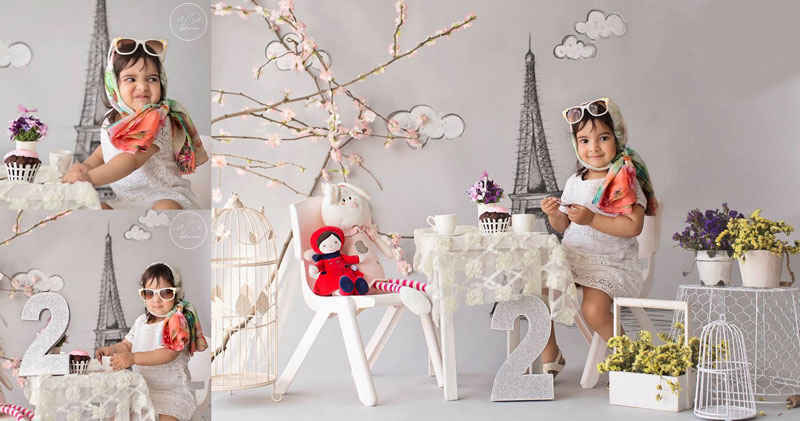 For sitters and toddlers, the set has to be interactive for the children and beautiful from the front. Each and every element that goes into my sets is very well thought out in terms of design sensibility and aesthetic appeal. 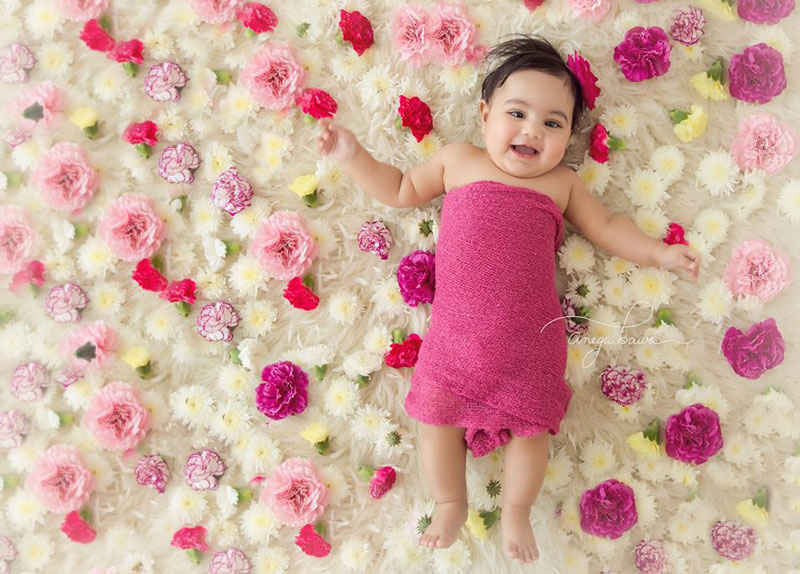 How different is child photography from other types of photography? Child photography is very different from traditional portrait photography. Although children of all ages are different, one thing is common – they all require immense patience. Newborns need to be posed for the perfect photos and sometimes after 30-40 minutes of trying to pose them in one way, the baby just stretches and comes out of the pose. So we start again. With older children, sitters and toddlers, I sometimes have to play with them to make befriend them. So all the factors of other type of photography like composition, light etc are still there but you are dealing with very complex subjects. I love the challenge and the results keep me going. What do you do to get expressions out of children? Expressions for children change with age. For newborns, it’s a wait and watch game. So you have to sit there for sometime with hand on the trigger and hope something amazing happens, like a smile or a yawn. For slightly older babies of about 2 to 6 months, I interact with them, call them with a cat or dog sound, play with them and then hope for a reaction. For sitters and toddlers, it becomes a little complex and changes from child to child. Some children are just naturals and give brilliant expressions, but for other shy babies I have to win their confidence and then it works out. Parents are really important as they know what actions would lead to a particular expression in their children. Share some snippets about your favourite photograph captured so far? It’s impossible to point out a favorite. I have at least 3 to 4 favorites every week. But let me tell you about these two amazing newborn stories. 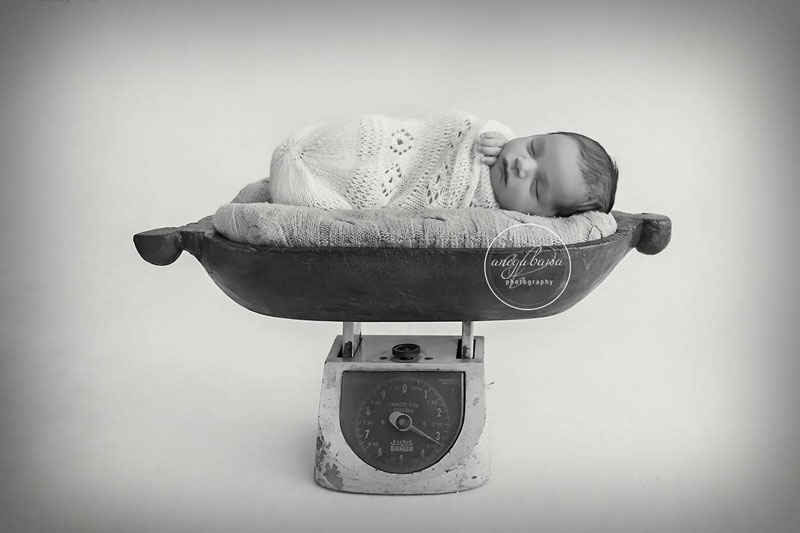 It was the Christmas Eve 2015 and I was photographing this newborn boy - we had already done most of the photos and I wanted to pose the baby on his tummy. It was just not happening. But suddenly the baby burped and fell asleep. He must have started dreaming something good. He gave the most beaming smile and I was ready to click it. Then there was a newborn baby girl. We were photographing the family and it was dad and the daughter’s turn. I was trying to pose the baby on a single arm of the father to show the tininess of the 14-day old. I was supposed to tuck the hands under the face, which I did, but I also wanted to fold the feet of the baby. As I was doing it, it must have tickled her and she started beaming with smiles. I just took the shot. What according to you makes Delhi, So Delhi? Delhi is just an amazing mix of individuals. There is an amazing buzz to the city and people love to celebrate. When children come into a young couple’s life, they don’t forget this stride and celebrate in the most amazing ways. I see more and more couples going for baby moons, baby showers, maternity & baby sessions, first birthdays and so on. According to me it’s this stride to celebrate that makes Delhi, So Delhi! Obviously, it means a great deal to me. It’s what paints and canvases meant to Picasso. Photography is my chosen medium to present my art to this world and I only have love and passion for it. Sometimes I wish there was more respect for it. With one trillion photos being clicked everyday, it’s a hard thing to ask for. However, those who have an eye for it, value good photography. And that what really matters in the end. What advice would you give to budding photographers? My advice is very simple. Start developing your own style; don’t copy anyone. Try and figure out the kind of photography that makes you happy or motivates you. Definitely don’t do too many things, don’t dilute yourself. Also, there is a difference between technical training and artistic training. You should definitely have sound technical training but artistic training is something that keeps going all your life. Always keep yourself ahead of the game by developing your artistic skills.